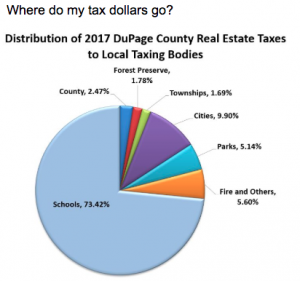 Questions and information, please email assessor@dgtownship.com or call (630) 719-6630. Please provide a daytime contact number and either the parcel number or property address. Township Board Meeting – April 18th, 2019 The Township Board Meeting will be held at the Township office, as follows: Date: Thursday, April 18th, 2019 Where: Meeting Room – 4340 Prince Street, Downers Grove, IL When: 7:30 pm View and download the meeting agenda. Township Board Meeting – March 21st, 2019 The Township Board Meeting will be held at the Township office, as follows: Date: Thursday, March 21st, 2019 Where: Meeting Room – 4340 Prince Street, Downers Grove, IL When: 7:30 pm View and download the meeting agenda. Township Board Meeting – February 21st, 2019 The Township Board Meeting will be held at the Township office, as follows: Date: Thursday, February 21st, 2019 Where: Meeting Room – 4340 Prince Street, Downers Grove, IL When: 7:30 pm View and download the meeting agenda.